The changes to the pension landscape are having a major impact on those about to retire and those in retirement, but of course, that’s only half the story. These reforms will have major implications for the future of every worker too. 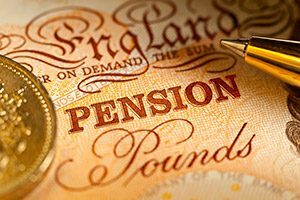 The Pensions Commission has calculated that workers typically need an income equivalent to about two-thirds of their final salary to maintain their lifestyle in retirement. Whilst the figure will vary from person to person, what is clear is that a considerable amount of money is required in pension savings to enjoy a comfortable retirement. As life expectancy rises, many of us can look forward to around 45 years in employment followed by 25 years in retirement, possibly living on until our nineties. Living longer in retirement may mean that care and nursing costs have to be factored into the equation. All this means that it’s vitally important to keep an eye on our pension pots at every stage of our working lives. Retiring at 55 may sound like a dream come true, but to make this a reality will require shrewd planning. If this is your goal, then you’ll need to take every opportunity to maximise your pension contributions during your working life and have a good grasp of what you’ll need by way of income to fund your lifestyle in what may well be a long retirement. It really does pay to start contributing to a pension as early as possible. Someone saving £100 a month from age 25 to 65 will contribute the same as someone who starts 20 years later and puts away £200 a month. Based on a (projected but not guaranteed) 6% investment growth throughout, the early saver would have a fund of around £190,000 whilst the late starter would have built up a pot of around £90,000. Now we have more freedom to manage our pension provision, it’s more important than ever to carry out a regular review of existing arrangements with your us to ensure your contributions are high enough to provide a financially secure retirement.